Oregon State University's commitment to engaging in exceptional research, discovery, innovation and engagement — and to integrating that research and engagement mission with the delivery of a high-quality, globally relevant and affordable education for the people of our state and beyond — remains steadfast. We are committed to the ideal that higher education is a public good and that education of the kind we provide, as a research-intensive land-grant institution, is uniquely important and should be accessible to all learners. OSU began strategic planning in 2004 and updated its planning in 2009 with Strategic Plan 2.0 and in 2014 with SP3.0. Our 2019-23 strategic plan, SP4.0: Transformation, Excellence and Impact, guides Oregon State University as we lay the groundwork for success over the next 150 years. Download detailed version of the plan (pdf). Building on 150 years as Oregon’s land grant institution, Oregon State University serves the state, the nation and the world as a premier 21st century research university. Producing skilled graduates who are critical thinkers. Searching actively for new knowledge and solutions. Developing the next generation of scholars. Collaborating with communities in Oregon and around the world. 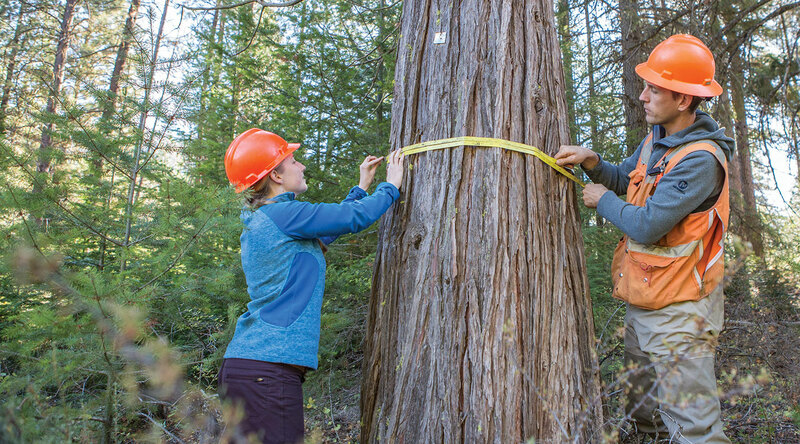 Maintaining a rigorous focus on academic excellence, particularly in three signature areas: the science of sustainable earth ecosystems, health and wellness, and economic prosperity and social progress. We are distinct among all other universities in how we pursue our mission. We conduct basic and applied research; deliver undergraduate and graduate education; pursue innovation and economic development; and engage communities in learning and problem-solving in ways that are highly synergistic. We pursue research, teaching and engagement activities that leverage each effort to achieve far-reaching results. And mutually support each other. Leadership among land grant universities in the integrated creation, sharing and application of knowledge for the betterment of humankind. In this way, we produce graduates, scholarship and solutions that achieve maximum positive impact on humanity’s greatest challenges. The foundational pursuits of research preeminence, innovation, transformative education, outreach and engagement, global impact, access, affordability, diversity, inclusion and justice underpin Oregon State University’s mission and vision; guide our priorities and actions; and are visible in our achievements. Inclusive academic excellence is our north star. We execute our mission and pursue our vision while remaining true to the following commitments. With our students, we will innovate and collaborate in research to drive solutions. We will offer excellent education for all learners. We will be leaders in the delivery of education. We will be welcoming and foster belonging and success for all. We will be visionary in our integration of the arts, humanities, sciences and engineering. We will be accountable leaders. We will be agile and entrepreneurial. We will be mindful of this special place and all Oregonians. We will establish Oregon State University as a leader in conducting research, producing knowledge and generating innovations that contribute to addressing global grand challenges, particularly in our signature areas; training the next generation of scholars; and contributing to the economic development and prosperity of Oregon and beyond. Highly collaborative and globally focused research and innovation enterprise. Faculty who are actively engaged in public scholarship and outreach. Graduate and professional education that leads to diverse, rewarding careers. Relevant and enduring partnerships with government, industry and other universities at home and abroad. Policies and systems supporting innovation and entrepreneurship. Building a robot that can stand and walk on two legs is so difficult that few in the world have even tried. But faculty and students in Oregon State’s graduate robotics program, ranked No. 4 in the nation, figured it out — creating robots that are much more capable. Agility Robotics, an OSU spinoff company, is working on robots that can go anywhere people can go, with real-world applications ranging from package delivery to search-and-rescue missions. Beyond technical innovations, Oregon State researchers are taking a holistic approach to how robots and intelligent systems will impact society well into the future. The Collaborative Robotics and Intelligent Systems (CoRIS) Institute includes more than 40 researchers from across the university investigating technical, social, ethical and economic issues. Oregon State will use its many locations and online learning platform to maximum advantage in delivering distinctive and affordable education via multiple pathways; integrating research and experiential learning; preparing students for successful careers; training scholars; and creating opportunities for lifelong learning at Oregon State. Graduates’ professional success and upward economic mobility. Graduates’ preparation to work effectively in a diverse society and as global citizens. Equity in access and achievement among learners from diverse backgrounds. Delivery of innovative curricula by faculty who are recognized for excellence in teaching and research. Deep integration of research and discovery in the learning experience of all majors. Emphasis on experiential learning opportunities for undergraduates. Angel Torres didn’t think college was possible. CAMP — the College Assistance Migrant Program — changed his outlook. CAMP provides students from migrant and seasonal farmworker backgrounds with financial support, academic resources and mentoring to help them thrive. Torres has — through an internship taking plant tissue samples, research studying livestock bones and a study abroad experience in Puerto Rico. He’s right. And he’s proof. Oregon State will actively engage with the communities we serve, ranging from rural and urban Oregon to every part of the globe, and bringing their knowledge, experiences and cultures into the university; promoting the vitality of our communities and the quality of life for Oregonians; and being of service to government and industry. Reputation as Oregon’s statewide university. Programs that serve as learning laboratories for communities to engage with Oregon State faculty and students. Economic development impacts that originate from OSU research and innovation. Inclusive partnerships that connect our scholars and students through global networks and exchanges. Highly engaged alumni and friends who serve as ambassadors for our educational programs and research endeavors. Oregon State’s John Selker recognizes the weather's powerful impact on lives and livelihoods. Farmers in particular need reliable weather data and forecasts to plan wisely for the planting and harvesting of their crops. But in Africa, there has been an acute lack of accurate, localized weather data, leaving farmers at risk of financial ruin — and millions facing serious food insecurity. Selker is leading a solution as co-director of the Trans-African HydroMeteorological Observatory (TAHMO), a collaborative organization building a network of 20,000 monitoring stations across sub-Saharan Africa — one every 30 kilometers. Zachary Dunn (above), worked on implementing TAHMO for several years while earning his bachelor’s degree in ecological engineering and a master’s in public policy from Oregon State. TAHMO will provide free, high-quality data on rainfall, evaporation and temperature in real time via the internet, making Africa one of the bestmonitored continents in the world — and making a profound difference in people’s lives. Oregon State will build an organizational culture founded on the values of inclusion, mutual respect, good physical and mental health, collaboration and humility, so that people from every background are welcomed and thrive; our community is diverse; and our leadership advances both excellence and innovation. Demonstrated commitment to diversity, equity, inclusion and justice. Support for the long-term success of our tenure-track and non-tenure track faculty. Support of the career progression and long-term success of our staff. Commitment to highly functioning shared governance. Deliberate approach to developing effective administrators and leaders. Nimbleness in the face of rapidly changing forces in higher education. Oregon State faculty and students don’t avoid hard conversations. In Professor Dwaine Plaza’s sociology class, for example, students of all races confront historic injustices and how people of color can continue to resist inequalities in the workplace, the education system and their communities. “We Have Work To Do,” the campaign launched by the Office of Institutional Diversity, also encourages community dialogue that breaks down barriers. 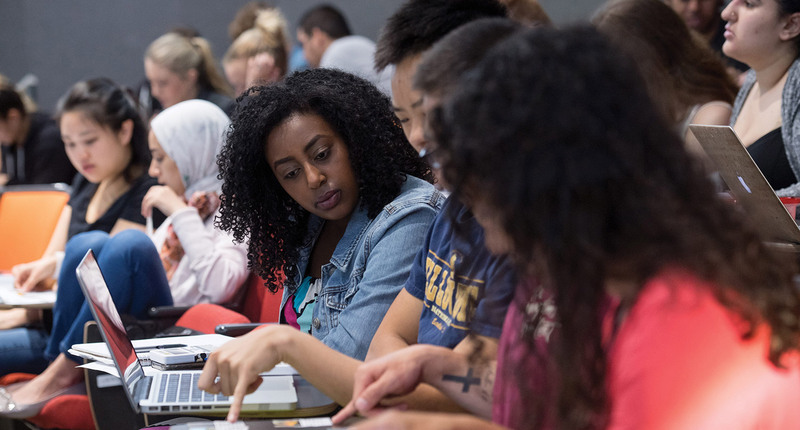 It recognizes that all students, faculty and staff are essential contributors to building equitable environments, creating a sense of belonging and confronting bias — regardless of their role within the university. Creating an equitable, inclusive community requires a consistent, creative effort. We welcome everyone to join in.